By law, the professional services provided are limited to patients of Calvary Central Districts Hospital. 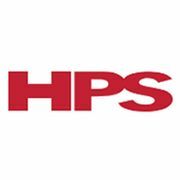 Rate and review HPS Pharmacies - Calvary Central Districts in Elizabeth Vale, South Australia, Australia! Share your experiences at HPS Pharmacies - Calvary Central Districts with your friends or discover more Cosmetics in Elizabeth Vale, South Australia, Australia.